“Christopher Duke settled in the area which now houses Kamp Kiwanis in 1889 after coming from England to Alberta. Two years later he was joined by his wife, Blanche. A log house was constructed on the site of the present day Kiwano Ring campfire meeting place in 1889. This cabin stood for many years, until the original ranch was sold to Frank Taylor in 1912. The sale involved 140 acres on the south border of the Elbow River. From Chaps and Chinooks: A History West of Calgary. This cabin room in Venturer Lodge is named after former Kiwanis Member C. Harold Acheson who was a consulting geophysicist. Have you ever wondered where the little door goes to on the North side of Nestor Lodge? This little storage room has been used as a bunkroom in the past and was originally inhabited by 2 of our Gap Volunteers who were from Albury and Yakandandah, Australia. This little cabin room in Watson Lodge which used to be the Kamp Kiwanis Office is named after the first Camp Chairperson (1950), Kiwanis Club President (1953) and Kiwanis Western District Lieutenant Governor (1955), Mr. Arthur Baines. This 2-sided cabin has always been a bunkhouse and is still in its original location from when Kamp Kiwanis opened in 1951. Named after past Kiwanis Club presidents Mr. E.L. Baker (1942) and Mr. Charlie T. Woodside (1943). The “Biffies” or outhouses were constructed in 1991 beside Roper-Sigalet to replace the old “honey pots.” Although it would likely be inappropriate to name them after specific people, they were painted in the 2000s and dedicated to some of the countries we have received volunteers from: Canada (The Bathroom), England (The Loo), Australia (The Outback Dunny) and New Zealand (The Long Drop). This little cabin which once stood on the main cabin row and has now been relocated the Leadership Village is named in honour of Past Kiwanis Club President Mr. Frank G. Buchanan (1945). This cabin room inside Watson Lodge is named after Past Kiwanis Club President and Camp Chairperson Mr. Grant Carlyle (1952). Built in 2001 for day use by the Venturer Team, called the “Cougar Group” at the time of construction. 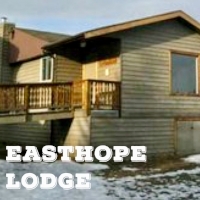 This building located east of Nestor Lodge is named after the Easthope Family who donated the building to Kamp Kiwanis in 1997. Named because of the donation by The Calgary Herald. This other half to Rockdale Cabin was named after Past Kiwanis Club President Mr. Victor Hicks (1948). After the cabin was moved to the Leadership Village area of Kamp, the wall was taken down between the 2 cabin spaces to form one larger cabin, now all known as Rockdale. This human-made lake was created in 2007 between a partnership with Alberta Transportation in creation of the traffic circle at Highway 8 and Highway 22. It is named after past Camp Director Roy Strum (1997-2008) and his family. 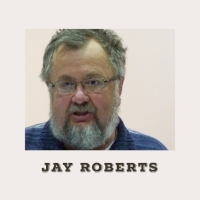 Roy helped to further develop programs at Kamp Kiwanis, including the integration of Earth Education programs, water safety, lifesaving and canoeing programs and leadership programs for junior high to high school programs. He also created the Kamp Kiwanis Cheer, helped to develop the Kabin Banners and Objectives of Kamp Kiwanis. This cabin room inside Watson Lodge is named after past Kiwanis Club President (1954) and Western District Lieutenant Governer (1959) Mr. Bill Little and former Kiwanis Club President (1958) and Camp Chairperson (1954-55) Mr. Ed Deeves. Ed, along with Jim Hanes spent several weekends installing new plumbing at Kamp Kiwanis before it officially opened on July 3rd, 1951. 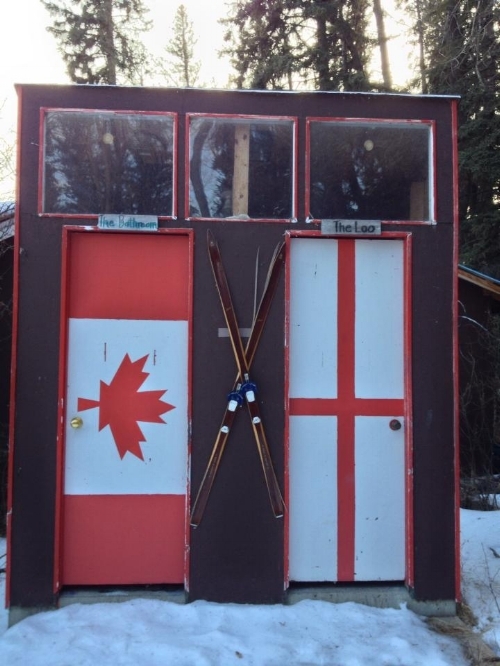 Otherwise known as the Shower Hut, Mayell Spray-All, built in 1984-85, winterized in 2001 and renovated in 2012 is named after the first Camp Director Mr. John Mayell (1951-1959), Supervisor of Physical Education for the Calgary Board of Education (1953-1978) and past Kiwanis Club President (1973.) 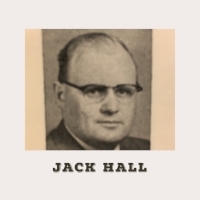 John Mayell is the founding father of the Alberta Schools Athletic Association (ASAA) and the Canadian Association of Provincial School Athletic Federations (later named Canadian School Sport Federation (CSSF). He received the ASAA Routledge Award of Merit in 1971 and the Honour Award in 1975. John Mayell passed away in February of 2012 at the age of 93. The main lodge (formerly known as Kiwanis Lodge) opened in 1996. It was only used for one session of summer camp in 1996, after which due to the nature of the program and the atmosphere of cabin living, the decision to continue using the upgraded “old site” for summer program was made. 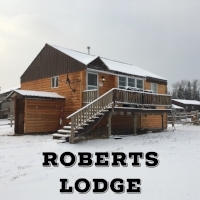 Kiwanis Lodge is a prime facility for rental groups. In 2013 it was was dedicated to Nestor Kelba, former Managing Director (1994-2012) and Camp Director 1966-1972). Nestor had a big hand in developing the main lodge in the early 1990s when there was a threat of losing the Kamp. Nestor continues to be involved on the Kamp Kiwanis Board of Directors and Kiwanis Club of Calgary Kamp Kiwanis Board of Directors. Many of the rooms in Nestor Lodge were sponsored or named in honour of Kiwanis Members, Kiwanis Clubs, Families or Local Companies. Notable are the main dining hall named after Ann and Sandy Cross for past Kiwanis Club member Sandy Cross and his wife Ann (who passed away in 2003 and 2013); the Great Room upstairs named for the Shikaze Family and past Kiwanis Club President (2001, 2002) Howie Shikaze; the Loft (area with the fireplace) after past Kiwanis Club member Don McEachern (passed away in 2005); the front hallways named after the Morley Family and Vine Family including past Kiwanis Club Member Ken Vine and his wife, Dona Vine who was the first female Kiwanis member in Calgary (passed away in 2015); and cabin rooms named after The Kiwanis Club of Calgary Downtown (now known as The Kiwanis Club of Calgary Kamp Kiwanis), The Chinook Kiwanis Club of Calgary, The Northmount Kiwanis Club of Calgary, The Foothills Club of Calgary and the Kelba Family Room named after Nestor and Ellen Kelba and their family. This outtripping and used clothing distribution building, built in 2001, is named after the Northmount Kiwanis Club of Calgary for their contributions to Kamp Kiwanis. This cabin was relocated to part of the Leadership Village In remembrance of items lost by past Assistant Camp Director (1967-1970) and Camp Director (1971 when Nestor took a leave of absence to work on his Masters Degree) Brian West and past Assistant Camp Director (1971) Graham Phipps. Named after past Kiwanis Club president Mr. Sam Parkinson (1951) and his son Dale Parkinson who was also a past Kiwanis Club president (1982). Sam Parkinson passed away in September 2000. Dale Parkinson past away in November 2016 at the age of 77. Parkinson Cabin has officially been closed as it has reached the end of it’s structural lifespan. There will be a farewell ceremony and clean-out of Parkinson in early 2019 after which it will be torn down with plans to rebuild. Some of the original materials will be used for the restructure in the form of art and decor. This residence of the maintenance workers at Kamp Kiwanis was brought to the site in the mid 2000s and is named after past Kiwanis Club President of the Downtown Club Jay Roberts (1994, 1997 and 2004). Jay continues to serve on the Kiwanis Club of Calgary Kamp Kiwanis Board of Directors and Kamp Kiwanis Board of Directors. This cabin originally the Assistant Camp Director summer residence on cabin row, was relocated to the Leadership Village and named after Past Kiwanis Club Presidents Mr. L.W. Brockington (1926) and Mr. R.S. Trowsdale (1936). Formerly the old Wreck Ward, Taven’s Haven is currently a storage building with other possibilities to be repurposed. It is named after past Camp Director George Taven (1985-1992). George first worked at Kamp Kiwanis Outdoor School in 1972 (known then as the Calgary School Board’s Outdoor School Lab) and went on to work as a Camp Counsellor, Waterfront Director and Assistant Camp Director between 1972-1981. George developed the original Environmental Day Trip Program the High School Connections Program started in 1987 in partnership with the Calgary School Board and Downtown Kiwanis Club of Calgary, now known as the SEEDS Connection Program. George was past Kamp Kiwanis Club President of the Downtown Club in 1998-1999 and continues to serve with the Kiwanis Club of Calgary Kamp Kiwanis. One of the trails at Kamp Kiwanis, Taven’s Loop (formerly Wanisik Loop) on the Northeast side is also named after George. The Kamp Kiwanis above ground pool was built in 1961 to replace the man-made “swimming hole” and named after past Camp Chairperson Edward “Ted” Walden (1956-1959). 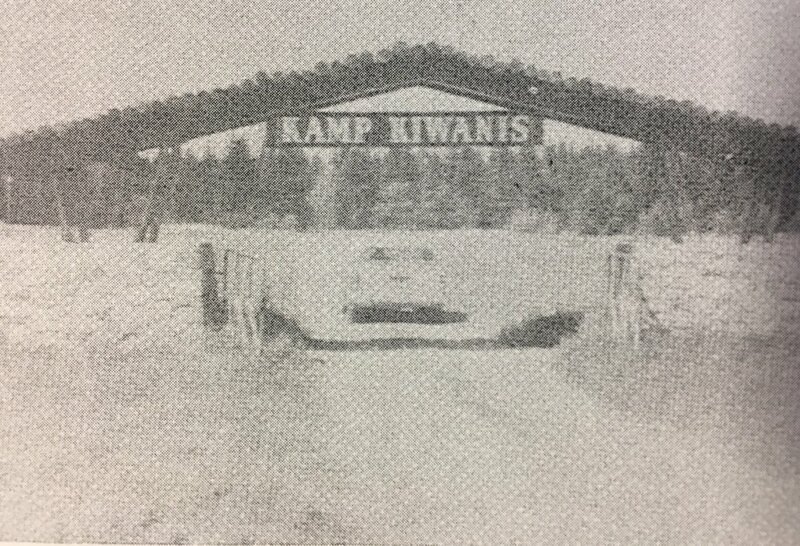 Ted, also president of Walden Construction Ltd., was also the Property Committee Chairman who helped develop the Kamp Kiwanis site for use in the early 1950s. Built in 2001, Venturer Lodge is named after the Venturers Society of Calgary, a unique community access and employment preparation non-profit program for adults with developmental disabilities. The Calgary Venturers continue to do maintenance and building work at Kamp Kiwanis. 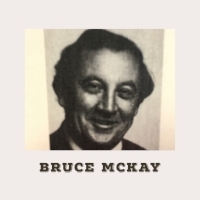 McKay Hall, the dining hall in Venturer Lodge is named after long time Kiwanis Member Bruce McKay. Bruce passed away in April 2018 at the age of 90. Many of the cabin rooms in Venturer are named after local families that have supported the Kamp: Barnes (who used to give horseback rides to campers in the 50s and 60s), Copithorne, Gauthier, and Robinson (who used to show their museum collection to campers in the 50s and 60s). 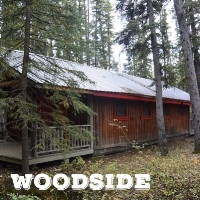 Originally the Dining Hall and Hobby Hut, Watson Lodge is named after Bill “Curly” Watson’s contributions to Kamp Kiwanis with both the Downtown Kiwanis Club of Calgary and the Foothills Kiwanis Club of Calgary. Curly was born in 1907 in Burnley, Lancashire, England but moved to Calgary with family in 1909 and was raised in Bridgeland area. 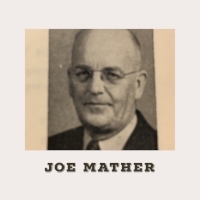 He started as a plumber in 1927 with Trotter and Morton Ltd. which he later became part owner. Curly was in the first class of plumbers to go through the Alberta Apprenticeship and Trade School and receiving Certificate No.1 for plumbers in the province of Alberta in 1930. Curly also served as President of the Calgary Construction Association and the Calgary and Alberta Mechanical Contractors Association. 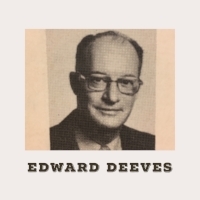 In 1994 he received the Ted Walden Award for his outstanding contributions to the Calgary Construction Association. 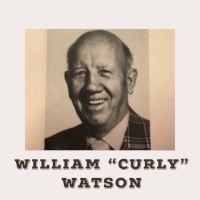 The Bill (Curly) Watson Memorial Scholarship for Apprenticeship and Industry Training in Alberta is named in his honor. Curly passed away in February 1998 at the age of 90. Watson Lodge has had several renovations over the years, including winterizing and the addition of washrooms in 1997, a laundry room in 1998, a new metal roof in 1999, the addition of showers in the mid 2000s, new flooring in 2008, 2012 and some of the floors in 2013. Named after its original white-washed siding, this house which has been the resident of camp directors was donated to Kamp Kiwanis by Mr. Grant Carlyle in 1964 after the original director’s residence, Kiwano Lodge, accidentally burned down. The White House now sports a natural log siding. The original Wreck Ward is now known as Taven’s Haven. Rebuilt in 2004, the Wreck Ward now houses the Spring and Fall Program Staff, some of the Summer Resource Staff and is the First Aid Centre in the Summer. It is named after past Kiwanis Club President (1933) and Lieutenant Governor (1937) Mr. Peter Breck and past Kiwanis Club President (1921) and Lieutenant Governor (1925-26) Mr. Horace Howard.